Chris Bjorklund has been writing professionally since 2004 and has been primarily featured in peer-reviewed scientific journals such as "Nucleic Acids Research" and "Biochemistry." He has also been anonymously published as a content freelancer for several websites. He completed his doctoral degree in biochemistry at Washington State University in 2006. Fish are a nutritious source of omega-3 fatty acids, which have been shown to promote a healthy cardiovascular system and reduce the risk of heart disease. As an alternative to fish consumption, omega-3 fatty acids and other fish oils can be extracted from fish products and offered as fish oil supplements. There are certain health concerns associated with excessive consumption of predatory fish like tuna and salmon because they contain high levels of toxic mercury. Consequently, you may have similar concerns about the mercury levels in fish oil supplements. A study at the Harvard Medical School that was published in the December 2003 issue of "Pathology & Laboratory Medicine" analyzed five commercially available fish oil supplements for their respective levels of mercury. These brands included CVS, Kirkland, Nordic Ultimate, Sundown and OmegaBrite over-the-counter fish oil supplements. The Sundown, Kirkland and Nordic Ultimate brands contained no detectable amount of mercury, where the CVS brand contained 10 micrograms per liter, or mcg/L, and the OmegaBrite brand had 12 mcg/L of mercury. While two of these brands contained some mercury, these levels are low enough to be considered negligible. Daily consumption of these fish oil preparations would result in less mercury in the body than eating two to four fish meals per week. The researchers suggested that fish oil supplements may be a safer source of omega-3 fatty acids than eating fish. The biggest problem with determining the amount of mercury in fish oil supplements is that there is not a currently defined method or standard of testing, and not all supplements get tested. However, there are some independent, third-party analyzers of fish oil supplements. 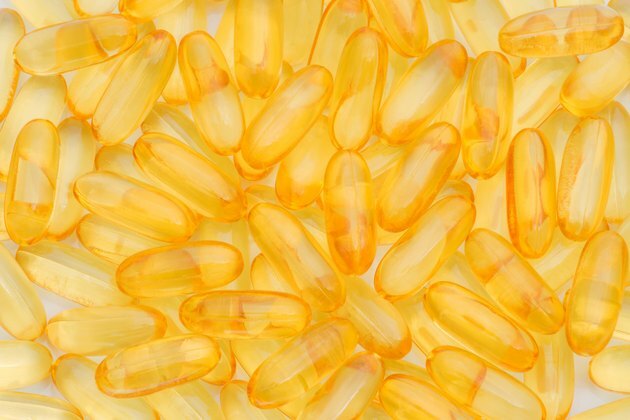 The International Fish Oil Standards, which is operated at the University of Guelph in Ontario, Canada, provides the most comprehensive list of fish oil and omega-3 supplement ingredient analyses. With technical analysis reports on dozens of different products, including those from Life Extension, Nordic Naturals, PurePharma and Restore Life to name a few, they provide the consumer with nearly everything they need to know about these alternative products. A closer examination of these reports suggests that all of the supplements that they have analyzed contain a negligible amount, less than 0.01 parts per million, or ppm, of mercury per capsule. In another study published in a 2005 issue of the "Journal of Automated Methods & Management in Chemistry" researchers examined the mercury levels in 40 commercially available dietary supplements, including three fish oil products. They determined that nearly all products contained negligible levels of mercury. However, of the products that they tested, one of the three unidentified fish oil products contained the highest amount of mercury at 123 nanograms per gram. The researchers quickly point out that even if you were to take this product following the manufacturers' recommended dosage, you would still not surpass the weekly recommended consumption of mercury as defined by the World Health Organization. Pathology and Laboratory Medicine: Measurement of Mercury Levels in Concentrated Over-the-Counter Fish Oil Preparations: Is Fish Oil Healthier Than Fish? Which Fish Contains the Least Amount of Mercury? What Are the Best Brands of Olive Leaf Capsules?